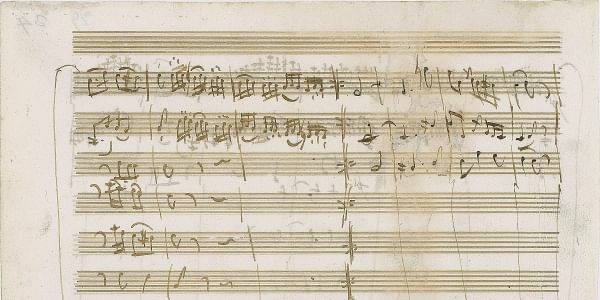 A fragment from a Mozart manuscript for the third movement of his Serenade in D Major has failed to sell at a Boston auction. BOSTON: A fragment from a Mozart manuscript for the third movement of his Serenade in D Major has failed to sell at a Boston auction. It had been expected to sell Wednesday for more than $200,000. The one-page handwritten "Allegro" musical manuscript is unsigned and has no date but is from around 1773. Auction house RR Auction says it's also known as "Antretter." The auction house says it contains 13 precisely penned measures in an eight-staff system, scored for an orchestra of two oboes, two horns, strings and a solo violin. Auction house executive vice president Robert Livingston says the music "shows off the virtuosity of the solo violinist" and likely was written to be played by Mozart himself. It's believed Mozart was 17 when he composed the serenade to celebrate a family friend's university graduation.